Building the case. 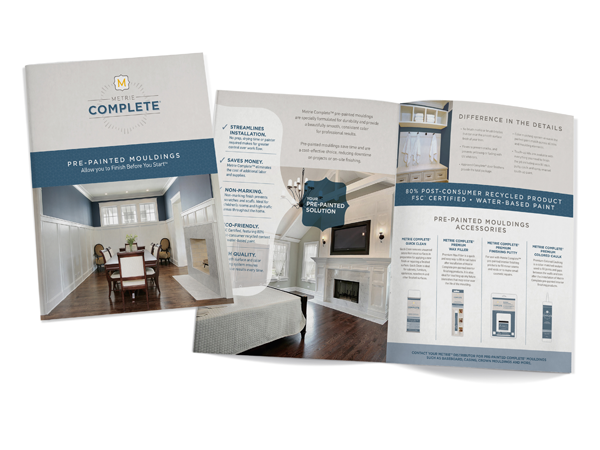 Metrie turned to Evoke to create an eye-catching brochure that conveyed their competitive advantages. Evoke delivered with a fresh design that highlighted the elegance and simplicity of Metrie’s pre-painted mouldings.